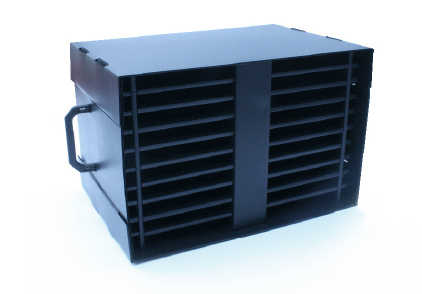 Manufactured in strong conductive black plastic for the electronic industry, these boxes can be supplied with stacking profiles and handles, and be divided as required. They can also be supplied with lids. Dividers also available for moulded boxes and totes.